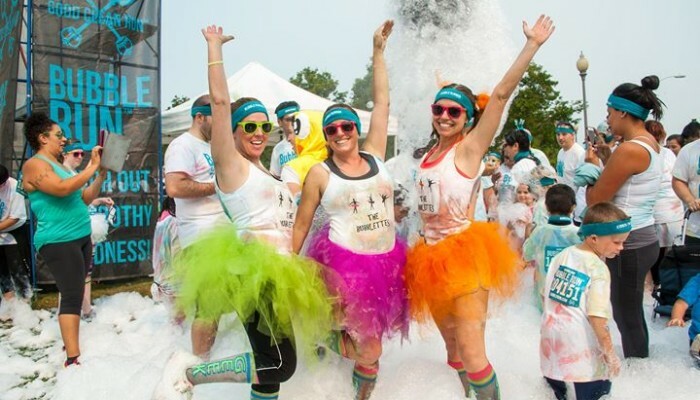 Super Simple.Clad in white t-shirts, Participants run, walk, dance and play across 3 miles of absolute fun! Waves start every 3-5 minutes. 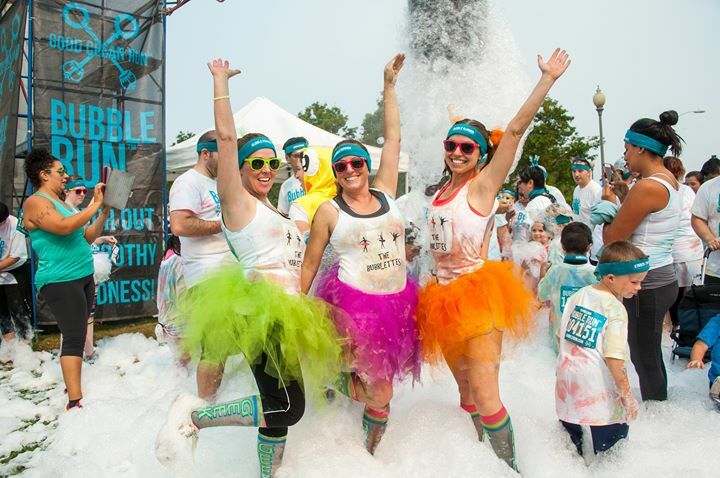 Then, at each kilometer, participants will run through the Foam Bogs where there is enough colored foam to cover you from head to toe!Each of the four Foam Bogs along the course are represented by different colored foam.There are a few simple rules.Rule 1:All levels of runners, walkers, twirlers, dancers and strollers are welcome to the Bubble Run™.Rule 2: Wear white. That way, your appearance at the finish will be even more pronounced.Rule 3: Enjoy being a kid again.